A lot can happen in a month’s time. If you’re not able to keep up with each Porsche Motorsport post here on FlatSixes.com and would prefer a brief synopsis of what’s happening in the world of Porsche Motorsport, there is no better way to stay in touch than by reviewing the monthly Porsche Motorsport Newsletter. Filled with interesting facts and figures about past and upcoming races, along with changes to team and crew, the Porsche Motorsport Newsletter is an easy way to keep up-to-date on this year’s racing activities. Emmanuel Collard and Richard Westbrook won round two of the FIA GT Championship with a Prospeed Competition 911 GT3 RSR on the Adria International Raceway in Italy (17 May) and, with their second win in succession, further extended their lead in the GT2 classification. The Porsche juniors Marco Holzer and Martin Ragginger have impressed after their switch from the Carrera Cup Deutschland to the FIA GT: Holzer achieved sixth in Silverstone with Darryl O’Young in the Prospeed-Porsche GT3 RSR, and followed up with fourth on the Adria Raceway. Ragginger claimed second in qualifying in Silverstone and turned heads with pole position on the Adria Raceway. Race results: Eighth in Silverstone, fifth in Italy with Luigi Lucchini. Photo finish and the first win of the season for works driver Richard Lietz and the Italian Gianluca Roda in an Autorlando Sport 911 GT3 RSR at the third round of the International GT Open on the Autodrómo do Algarve (16 May). Round four (17 May) saw local heroes Manuel Giao and Pedro Couceiro claim second place in the sister Autorlando-911, whilst Lietz/Roda finished fourth to now rank second in the points. Four starts, three wins: an impressive interim result for Francisco Cruz-Martins and Sascha Maassen after the first two race weekends of the Italian GT Championship in Vallelunga and Magione. 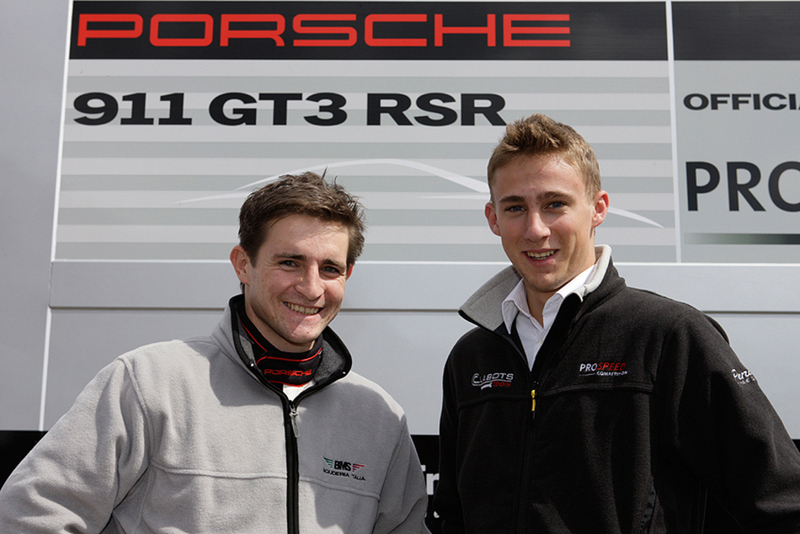 Maassen and Cruz-Martins race a 911 GT3 RSR fielded by the Autorlando Sport team in the GT2 class. The Porsche 911 race cars of the TRG team are programmed for top results in the Grand-Am Koni Challenge: Andy Lally and John Potter won the sixth round in Watkins Glen (5 June), after securing second place at the fifth round in Lime Rock Park (25 May). With a 14 lap advantage, the Essex team from Denmark with drivers Emmanuel Collard, Casper Elgaard and Kristian Poulsen scored a clear win at the Le Mans 24 Hours (13/14 June) in the LMP2 class. Running second, the RS Spyder of Japan’s NAVI Team Goh retired an hour before the flag after an accident. Points’ leader Joerg Bergmeister and Patrick Long won the GT2 class with the 911 GT3 RSR of Flying Lizard Motorsports at round four of the ALMS in Salt Lake City (17 May). Second for Wolf Henzler and Marc Lieb in the Farnbacher-Loles-Porsche. Victory at the first race of the ALMS Challenge Class went to Martin and Melanie Snow in a 911 GT3 Cup. After claiming third at round five of the Grand-Am Series in Watkins Glen (6 June), Timo Bernhard and Romain Dumas rank second in the drivers’ standings for Daytona Prototypes. In the GT class, Dirk Werner and Leh Keen took over the points lead in the Farnbacher Loles GT3 Cup with their second win of the season in Watkins Glen. The Danish Essex team won the LMP2 class at round two of Le Mans Series in Spa (10 May) with an RS Spyder driven by Emmanuel Collard, Casper Elgaard as well as Kristian Poulsen. Success for Porsche in the GT2 class as well: Works pilots Marc Lieb and Richard Lietz yielded their second win of the season. With his third win of the season at the fifth round of the Porsche Mobil1 Supercup in Istanbul (7 June), Konrad Motorsport pilot Jeroen Bleekemolen extended his points’ lead. 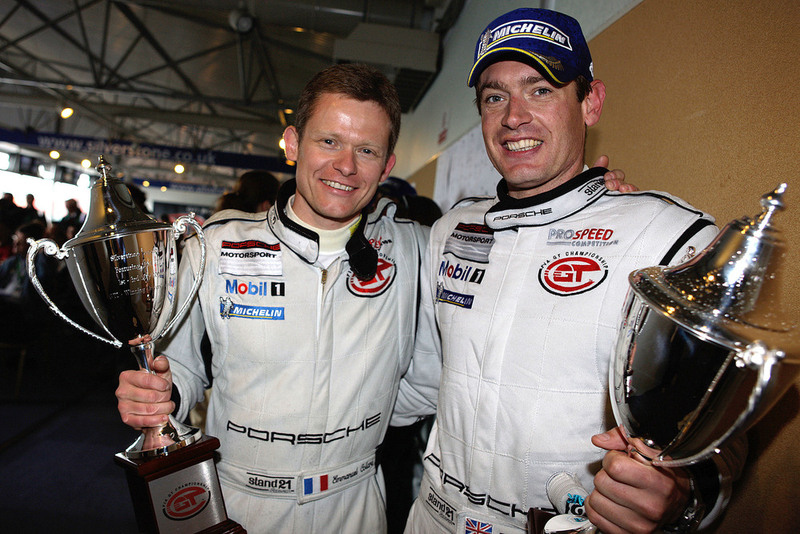 Victory at round four in Monaco (24 May) went to Richard Westbrook in his Federsand-Jetstream Motorsport 911. On the Goldenport International Circuit in Beijing, Darryl O’Young (Team Jebsen) won the third round of the Carrera Cup Asia (10 May) ahead of Christian Menzel (Team StarChase). The German responded with a win at the fourth race. At the second race of the Carrera Cup Deutschland on the EuroSpeedway (31 May), also marking the 1,000th Carrera Cup race, Thomas Jäger (MS Racing PZ Hamburg Nord-West) netted his first victory. Race one in Hockenheim (17 May) went to Jan Seyffarth in the tolimit/Seyffarth Motorsport Porsche. Frédéric Gabillon (Pro GT by Almeras) secured his first victory at the third round of the Carrera Cup France in Dijon (9 May), with Renaud Derlot (Graff Racing) defending his points’ lead with his second win at round four (10 May). Kevin Estre won rounds five and six in Magny-Cours (30/31 May). Fourteen-hundredths of a second separated winner Michael Caine (Motorbase Performance) from Tim Harvey at the fifth round of the Carrera Cup Great Britain in Donington (17 May). James Sutton (Redline Racing) claimed victory at the sixth race. Tim Bridgman (Team Parker Racing) won both races in Oulton Park (31 May). Round three of the Carrera Cup Italia on the Adria International Raceway was won by Christian Passuti. Race four went to ex-Formula 1 driver Emanuele Naspetti (10/11 May). The winner of the fifth race in Vallelunga (30 May) was Luca Rangoni, with Massimo Monti prevailing at round six (31 May). With pole position and three wins from three races of the 2009 Carrera Cup Japan in Sportsland Sugo (10 May), Y. Shimizu (Art Taste Cup) confirmed his role as favourite. Martin Öhlin (Rickardsson Racing) won rounds three and four of the Carrera Cup Scandinavia in the Karlskoga Motorstadium (22/23 May). Fredrik Larsson (IPS Motorsport) won the fifth and sixth rounds on the Gothenburg City Circuit (5/6 June). Matt Kingsley (Action Motorsport Gold Coast) catapulted into the points’ lead of the GT3 Cup Challenge Australia with three victories on Phillip Island (16/17 May) and also yielded the maximum points tally twice in Mallala (6/7 June). Securing two victories at the third race weekend of the GT3 Cup Challenge Brasil (8-9 May) held on the Interlagos race track, reigning champion Miguel Paludo moved into the points lead. Martin Snow (Snow Racing) won both 30-minute races of the Patrón GT3 Cup Challenge in Salt Lake City (15-16 May). In the Gold class for 911 GT3 Cup from 2005 to 2007, victory went to Brian Wong and Melanie Snow (Snow Racing).